Back in May we were fortunate enough to visit Bluestone Wales for our first family holiday. We had such a wonderful break, and it came at such a great time for us. I'll be publishing our review next weekend. We took so much away from our trip, it really made us stop and think and we were so much more relaxed being there. T was mid throwing tantrums at the time and the hubs was just about to return to work after his mini stroke so it was a challenging time for us. We learned a lot and have applied some of those things to our life back home, now we've been back a few weeks I thought it would be a good time to document those which are sticking with us. 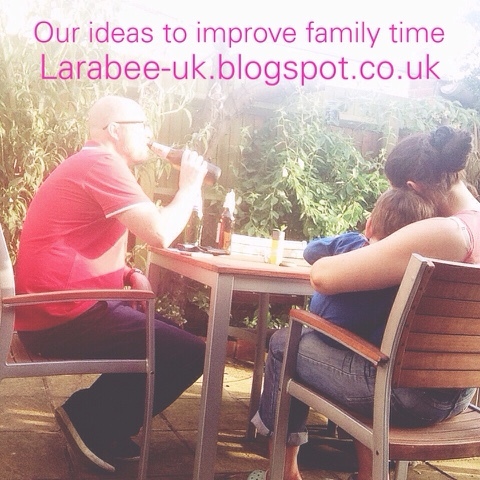 So what do are we doing to re-create that relaxed 'holiday' feeling? Mostly trying to be more organised and chilling out!!! Things we need to keep doing. 1. Keep tidy and put things away. 2. All eat at dinner table. 3. Be more tolerant of T's tantrums. 4. Wipe down and clean up after every meal. 5. Savour the little things, eg watching the bats, playing at the park, eating freshly baked bread for breakfast. 6. Go for a walk after dinner. 7. Not automatically switching the TV on. 9. Do bedtime routine together. 10. Get up early and savour that time. 12. Take time to play.